Have you ever found yourself in a totally new situation, juggling your purse, a cocktail napkin and a little plate of food? I found myself is such a circumstance on Sunday. Steve and I drove for 2 plus hours and got lost (because of my Apple map…… grumble grumble ). However, when we finally arrived at Broders’ Pasta Bar in Minneapolis for a tasting event that raised funds for Slow Food Minnesota, we were glad we made the effort. Where do I start with all I learned? Keep in mind this blog’s purpose is to help me learn about real food and local food. I first discovered the slow food movement about ten years ago. Since this is my first event, I must be a slow adopter. It is an international non-profit, member-supported association. Slow Food was founded in 1989 in Europe as a concern about the rise of fast food and fast life, and the disappearance of local food traditions. The organization now has 100K members in 153 countries. You can’t get more slow than aged vinegars made from traditions that have been passed along from generation to generation in Italy. We sampled an apple balsamic vinegar made by Acetaia San Giacomo, located in the Reggio Emilla region of Italy. (See #8 on the map for the location of this region.) I was surprised that apples can be made into balsamic vinegar and discovered that the process, in this case, substitutes Trentino apples for Trebbiano grapes during the reduction and acidification process of making aged balsamic vinegar. Back in October, when we attended Fermentation Fest, we learned that balsamic vinegar takes years to make. Unless one attends an event like this one, most people have never tasted “real” balsamic. According to blogger, Rebecca Wine, in a recent post, what we consumers usually end up buying in our stores is a commercial product that simulates the original one and is made from wine vinegar with the potential additions of coloring, caramel, arabic gum and corn starch. My first ever taste of panforte occurred across the room from the vinegar table. Panforte is an Italian fruit cake. However, it didn’t taste like any other fruit cake from my childhood (thank goodness). Back at home, I did a little research and discovered that David Lebovitz, a blogger and author that my cousin Susan told me about, has a post with a recipe for this treat. 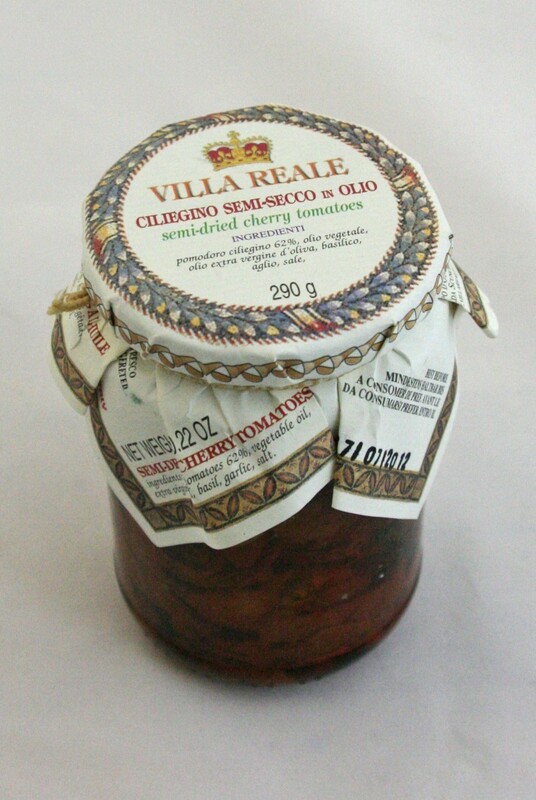 Steve and I both enjoyed the Villa Reale Semi-dried Cherry Tomatoes, and the mushroom risotto prepared by the chef. We tasted four varieties of olive oils. All the products did not have the additives and extra salts/sugars Americans have been tasting in increasing amounts since our childhood. For local food we tasted Borsellino Salami by La Quercia. This company is located in Norwalk, Iowa. They use traditional dry curing methods and pork from hogs not raised in confinement. We were impressed with the passion and knowledge shared by the staff at Broders’ as we traveled around each tasting table. We met Molly Broder, the owner and chatted at the bar with one of her sons. With our taste buds both refreshed by the pure flavors and intrigued by the possibilities, we left looking forward to returning to Broders’ again for a nice meal as well as attending the next Slow Food Minnesota event in January. Have you heard of the slow food movement? If not a member and you believe in this mission, join as a way to celebrate Terra Madre Day on December 10th. Now that we have a new profession and we’re working together, we decided to make the first week of our winter vacation a learning vacation by driving to Little Rock, Arkansas to attend a sustainable farming conference. We had hoped to attend a pre-conference session by a somewhat famous urban farmer from Milwaukee, Wisconsin: Will Allen. Unfortunately his hands-on session was sold out. Instead of putting our hands in the soil and learning about worms, we went on a tour of two community/school gardens near Little Rock. 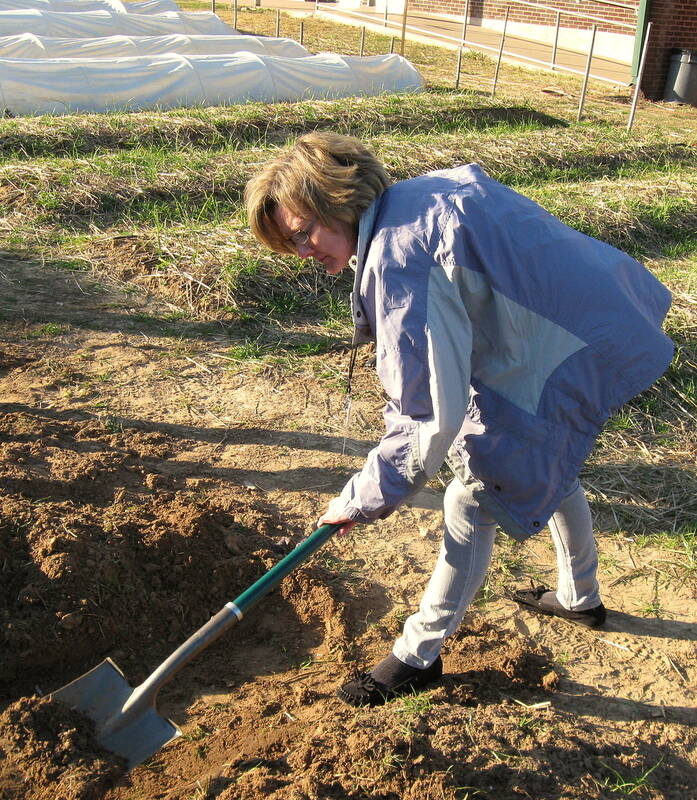 We put our backs into it and learned how to make a French Intensive row for planting at a school that is part of the Delta Garden Study with FoodCorps and the Arkansas Children’s Hospital. Steve did attend Will Allen’s breakout session and was impressed with his energy and passion for being able to take any surface, even asphalt, and grow things. His ability to grow food anywhere relates to his ability to make excellent compost. This session made us wonder if we could grow crops on our parking lot. During the two day conference Steve was drawn to attend sessions focused on the operations of growing food. I was drawn like a magnet to sessions based on food access, food hubs, and restaurant/farm partnerships. So even though we were together, we went our separate ways. We have noticed before that when we go to conferences we feel a bit overwhelmed at the time and don’t really feel like we learn anything new. I think it comes from being introverts. We both need time by ourselves to process information. Now that we have been home for about a month, we can say that what we gained most is a commitment and new-found confidence about the steps were are taking to transform our business from a traditional restaurant into a food establishment that strives to educate as well and feed our hungry customers. How about you, did you do anything to celebrate Food Day?